← Lent Reflection 1: Do you know who you are? I took my youngest to spend her birthday money and miraculously we were in and out of the shop within 15 minutes. 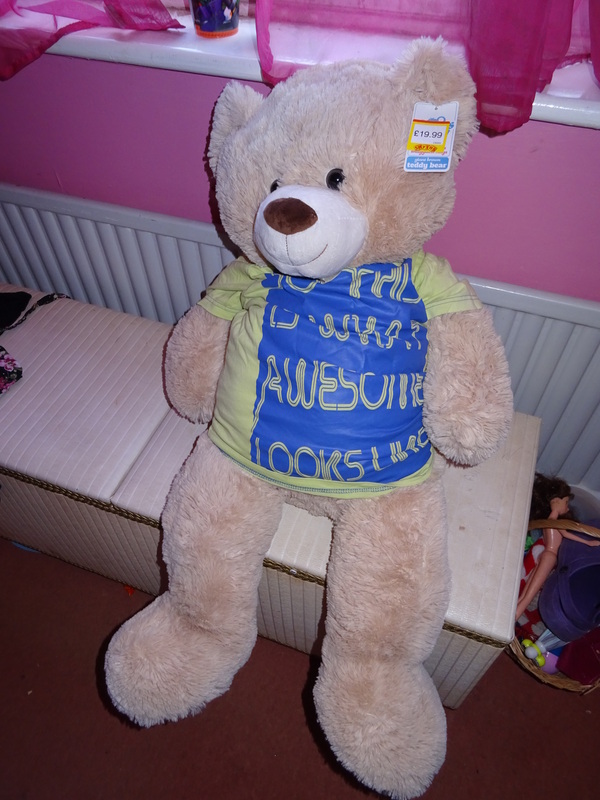 My daughter was so pleased with her giant teddy that as soon as she got him home, she dressed him in one of her t-shirts that says ‘so this is what awesome looks like’ on it. Any parent who has taken a young child shopping to spend their birthday money will know what a lengthy and painful process it can be. This was a fairly unusual experience for me and as I drove home it started me thinking about the miracles that happen every day. ‘I think prayers really made a difference before, as he did not experience many of the bad side effects of the medication’. At a prayer meeting recently, someone randomly (or Godomly?) started praying for someone on the fringe of our church and as they prayed they thought of the song I will change your name (see the YouTube clip below). They began praying that the person would know that this song described what God was doing in their lives. When I passed this on to the person, they commented on how meaningful this was for them. The t-shirt on the bear says ‘so this is what awesome looks like!’ Is that how we feel about miracles or do we just take them for granted? May God give us greater faith as we look to and trust in him that we might really be surprised as we see what awesome looks like as God moves in power. This entry was posted in Faith, Life experiences, Miracles and tagged answers to prayer, miracle. Bookmark the permalink.